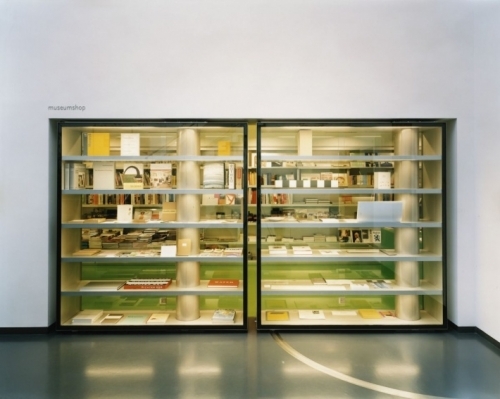 "Der Traum der Bibliothek" ("The Dream of the Library") sheds light on the fascination of books and libraries from the point of view of conceptual art. The book is the alter ego of the visual artwork whose information is organized quite differently. Accordingly, the library is closely related to the museum. Both have in common that there can no longer be a binding canon. Although the genre of the artist's book has been popular since the end of the 1960s, this is not about the artistically designed book and the associated autonomy of the artist, who takes the publishing of his work into his own hands. Rather, it is about the act of reading, acquiring knowledge, the situation and the location that make it possible. The artists in the exhibition explore the essence of a library: Bookshelves, display and reading furniture are taken into consideration, as well as the form and location of the library as it exists within a city.